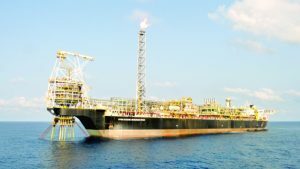 Ghana’s National Petroleum Corporation (GNPC) sees first oil production at the offshore Sankofa field being developed by Eni and Vitol in the second half of 2017, and initial gas output early the following year, an official said on Tuesday. The start-up of World Bank-supported Sankofa will help increase oil and gas output in Ghana, with total oil production seen averaging over 350,000 barrels a day at the end of 2022. Gas production was seen averaging more than 300 million standard cubic feet of gas a day at the end of 2018, the acting chief executive of GNPC, Alex Mould, told an oil conference.